The Kawartha Camp Chair is here to help you prepare for your next tailgate or Fall camping trip. Enter in promo code CC50NOV at checkout and save 50% off (just $35) on this comfortable camp chair from Kawartha. The Kawartha Camp Chair is the outdoor companion you’ve always wanted for tailgating, camping, hiking, fishing, and outdoor concerts. While it weighs in at a mere 1lb 7oz, it has a weight capacity of 250 pounds with unfolded dimensions of 26” x 21” x 21.” When packed it’s only 14 x 5 inches so a regular-sized backpack can easily hold four chairs. Additionally, Kawartha assembles in under 30 seconds using a hub a pole system of anodized aluminum, just like a tent. Whether you’re looking for something to relax in after a long day on the trail or you’re just going to knock a few back before the game, this chair works in any outdoor setting. 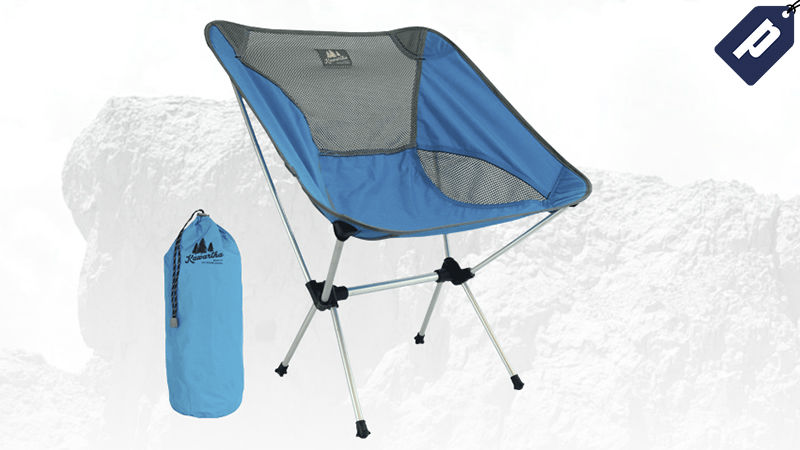 Save 50% using promo code CC50NOV and get the Kawartha Camp Chair for $35.